Brushing your teeth twice daily is an important part of good oral hygiene – but brushing alone is not enough! To completely remove tiny bits of food stuck in your mouth, you need to floss every day as well. If you have trouble remembering this extra step, try placing a container of floss directly in front of or next to your toothpaste. That way, you will see it and remember to floss whenever you go to brush your teeth. Do you have a sweet tooth? 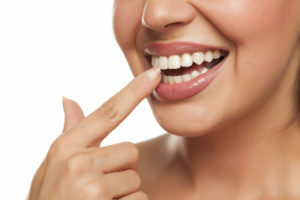 A recent study published by BMC Public Health revealed a direct link between sugar consumption and tooth decay, so you may want to adjust your eating habits to prevent cavities from forming on your teeth. Replacing sugary soda with sugar-free seltzer water or chewing a piece of sugar-free gum when you are craving dessert are two easy swaps that you can make to reduce your risk of tooth decay. Tobacco use – both smoking cigarettes or chewing smokeless tobacco – has been linked to a host of serious health problems, including gum disease and oral cancer. While it will not be easy, solicit the support of your friends and family and commit to making 2019 the year you finally kick the tobacco habit once and for all! Without checking the calendar, can you remember how long it has been since your last visit to the dentist? The American Dental Association recommends visiting the dentist every six months for a professional cleaning and oral exam. A biannual visit gives your dentist an opportunity to remove plaque and tartar buildup, check for cavities and early signs of oral health problems and recommend treatment as necessary. January is the perfect time to set positive goals for yourself for the future. Just follow the 5 easy tips above from a dentist in Columbia to stay smiling throughout the new year. Continuing a forty-year family tradition started by his father, Dr. Philip Batson delivers quality oral care to every central Missouri citizen who walks through the office doors. The Columbia native is an active member of both the American and Missouri Dental Associations and enjoys sharing his knowledge with patients on how to maintain a healthy mouth. For more oral healthcare tips, Dr. Batson can be reached via the Columbia Healthy Smiles website or by calling the office at 573-875-7071.